Oliver faces trouble as the Mayor as all of Adrian’s convictions are overturned and criminals like Derek Sampson hit the streets. He and Thea have a crisis of faith as Adrian brings them evidence that Robert Queen murdered someone and covered it up. 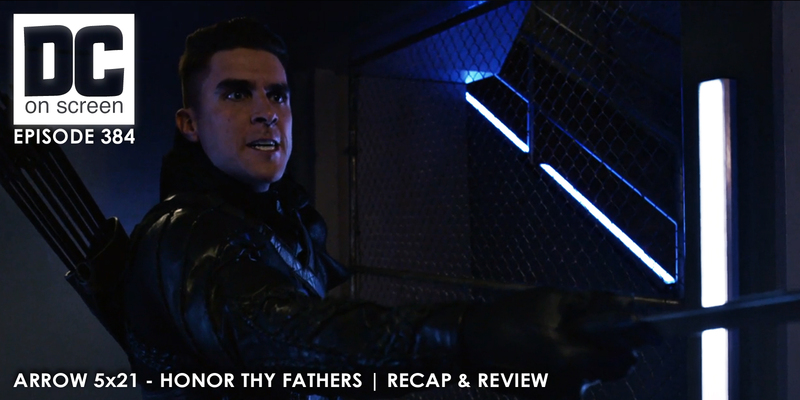 Team Arrow chases down Sampson and Prometheus, who turns himself in after Oliver reveals to him a terrible truth about Adrian’s father. Rene can’t decide if he wants custody of his daughter and Lance is peeved about it. Back on Lian Yu, we see that Oliver’s plan is to have Anitoli point a rescue ship his direction but the plan- and Oliver’s consciousness- are stopped cold by the reemergence of Kovar Constantine.